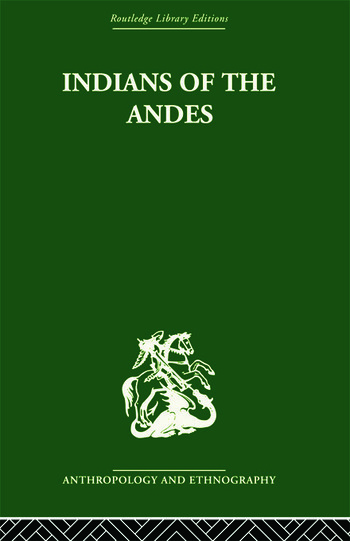 This book traces the history and ecology of the Aymaras and the Quechuas: the highland peoples of the Central Andes, who formed the nucleus of the great Inca Empire which extended for two thousand miles along the Pacific coast to the fringes of the tropical interior. In twenty millennia the Indians of the Andes had had no cultural contacts with the Old World yet they had already passed independently through stages of development usually associated with the Neolithic Age and had achieved a degree of technical and artistic excellence. In four centuries of contact there has of course been appreciable acculturation and osmosis.